Today’s business marketing strategies must span myriad platforms and cut through the online noise to reach target consumers. But many startups lack the resources to hire a full-time marketing hotshot to coordinate successful campaigns and manage customer interactions. Fortunately, the right choice of marketing automation software can help streamline these efforts. For busy fledglings businesses, a quality tool can be instrumental to reaching new customers as well as retaining existing ones. 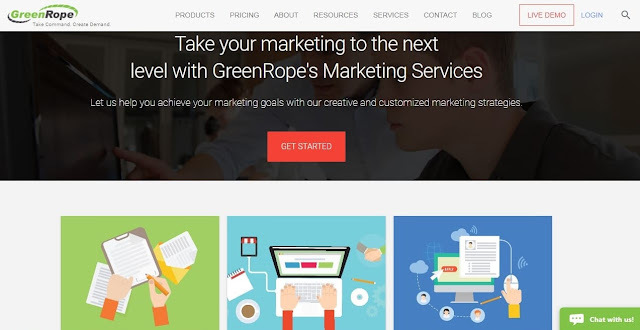 GreenRope is a web-based CRM (customer relationship management) and marketing platform with custom website and landing page creation as well as content management. It facilitates a range of marketing tasks including email campaigns, drip campaigns, social media, direct marketing, and lead nurturing. You can track the effectiveness of your email campaigns beyond first click to see who is reading, following through, or unsubscribing. Web tracking features also show you the details of your potential customers’ behaviors, and keep you updated to the minute on the way clients are interacting with your brand. GreenRope is an affordable alternative to InfusionSoft with a rare emphasis on simplicity that makes it an ideal platform for organizing small business marketing initiatives. There is tiered package pricing with free trials so you can see which version works best for your business with no risk. HubSpot is a free CRM platform with a comprehensive set of bells and whistles. It has all of your digital marketing necessities like automatic tracking of customer activity across email, calls, website, and social media pages. More so than GreenRope, HubSpot allows for a focus on social media with features like bulk social media posting. Its reporting capabilities are more intuitive than many other analytics tools, with metrics and data that are easy to track. It is both a flexible and organized solution for engaging with customers and tracking each aspect of your sales pipeline. And did we mention it’s free? For startups that really want to home in on email marketing initiatives, MailChimp is a helpful email marketing software that integrates well with other tools like Wordpress and HubSpot. The UI is intuitive and simple to use, making it easy to create email content and manage lists. Some email service providers limit the number of emails you can send at once to prevent spam, but MailChimp is designed to accommodate bulk mailing to an unlimited number of recipients. Its analytics capabilities allow you to know your reach and monitor customer engagement without having to switch to a new platform. MailChimp is designed more for marketing emails than transactional emails, meaning it’s more ideal for content like newsletters and promotions sent in bulk, as opposed to messages prompted by user actions. If you’re looking for a comprehensive marketing automation platform ideal for business to business application - and don’t mind paying for premium features - you may want to check out Marketo reviews. Like other platforms of its kind, Marketo provides email marketing, SEO, lead nurturing, landing pages, analytics, website personalization, automated social engagement and more. Lead scoring allows you to make sure parties showing an interest in your product receive follow-up communication and guidance as needed. Marketo supports sales goals like product launches and cross-sell/upsell strategies. An email marketing platform comparable to MailChimp, SendGrid uses cloud-based, secure deliverability. Unlike MailChimp, the focus is more on transactional messages than marketing, meaning this platform is ideal for following up with user actions - whether the user is merely stopping by your website, requires an account notification, or has just purchased a product. If you’re looking to send cold email campaigns, you may prefer an alternative platform, but SendGrid is ideal for companies that want to automate client-branded white label emails relating to transactions and notifications. Guest author Hannah West Penick currently resides in Austin, TX where she writes about the newest technology tools and trends for TrustRadius. TrustRadius is a community of professionals sharing software reviews, software discussions, and best practices. I hope you enjoyed this article about the top marketing tools and software for lean startups and bootstrapped small businesses. 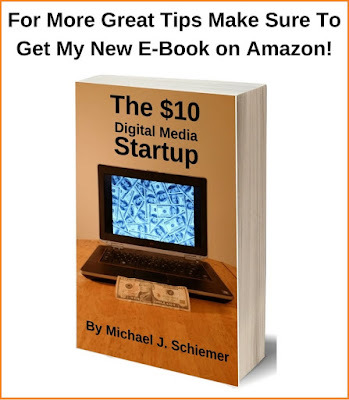 Interested in more articles about bootstrapping marketing tools?